Literary Trails of North Carolina is a comprehensive, three-volume guide to North Carolina’s writers and literature, written and published with the support of the North Carolina Arts Council. Organized geographically, the books direct curious travelers to the historic sites where Tar Heel authors have lived and worked. Along the way, travelers can read outstanding excerpts from the writers, evoking the places, customs, colloquialisms, and characters that figure prominently in their poetry, fiction, creative nonfiction, and plays. The Mountains volume brings together more than 170 writers from the past and present, including Sequoyah, Elizabeth Spencer, Fred Chappell, Charles Frazier, Kathryn Stripling Byer, Robert Morgan, William Bartram, Gail Godwin, O. Henry, Thomas Wolfe, F. Scott Fitzgerald, Anne Tyler, Lillian Jackson Braun, Nina Simone, and Romulus Linney. Each tour provides information about the libraries, museums, colleges, bookstores, and other venues open to the public where writers regularly present their work or are represented in exhibits, events, performances, and festivals. 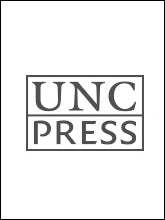 In the Piedmont volume featured authors include O. Henry, Doris Betts, Alex Haley, Langston Hughes, Zora Neale Hurston, John Hart, Betty Smith, Edward R. Murrow, Patricia Cornwell, Carson McCullers, Maya Angelou, Lee Smith, Reynolds Price, and David Sedaris. The third volume focuses on the eastern portion of the state. Georgann Eubanks has organized the manuscript into three “trails”: "The Southeastern Corridor" from Raleigh to Wilmington, "The Middle Corridor" from eastern Wake County to Carteret County, and "The Northeastern Corridor" from Wake Forest to the northern Outer Banks. Each trail is further broken down into several tours of half-day segments. Each tour features a map detailing how to get from site to site, brief biographies of the writers included in the trail, passages from the writers that refer to the places along the trail, reading lists, and web addresses linking to further information about sites and authors.